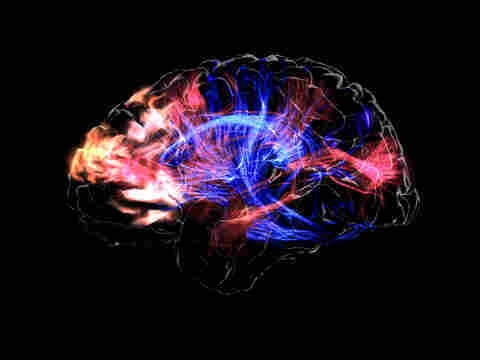 This Is Musician Mickey Hart's Brain On Music : All Tech Considered Peering inside our mind and capturing images of our thoughts has become a preoccupation in much of neuroscience. It's also an unlikely part of the light show at a Mickey Hart Band concert. Yes, the Grateful Dead's former drummer jams with a light show powered by his mind. 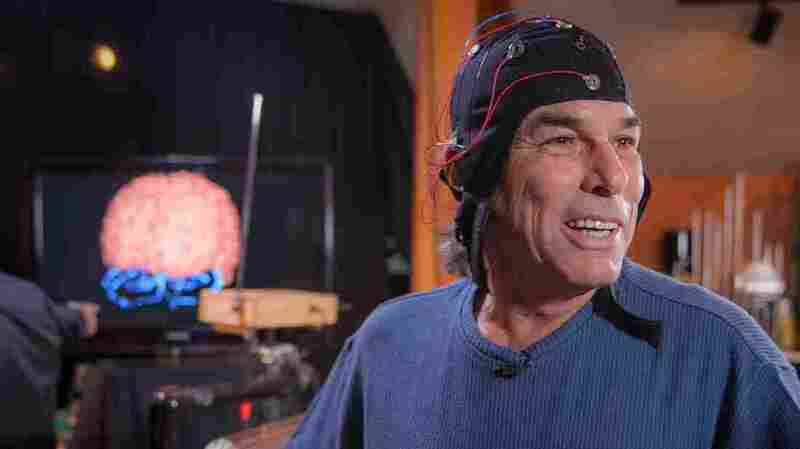 Musician Mickey Hart in a cap that collects electrical activity in his brain.